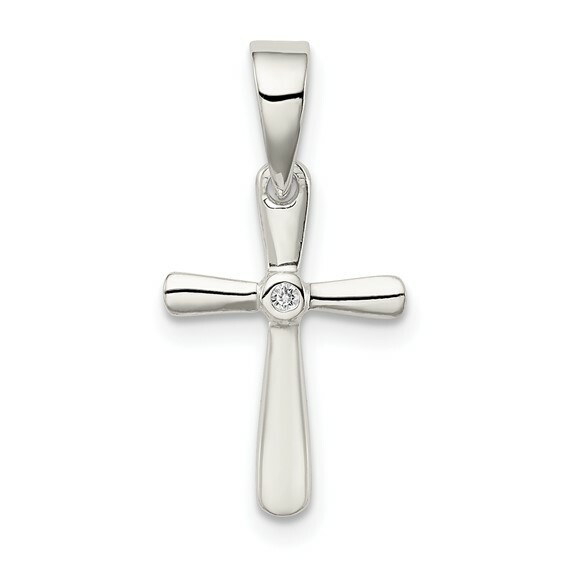 Sterling silver cross pendant has a single round cubic zirconia accent in the middle. Measures 5/8 inch tall by 3/8 inch wide without bail. Weight:0.6 grams.